Whether pushing the lesser-known Jacksons to center stage, forcing a spotlight on a backing musician from Sly and the Family Stone, or taking Sade’s words and re-sequencing them to make a point, the Philadelphia-based hip-hop producer Y?Arcka (aka Shawn Kelly) has made a strong impression on his first two full-length albums. The Un-Herd Vol 1 was released last year by Ropeadope, and Y?Arcka followed it up more recently with a freely downloadable collection called The Appreciation SP. On both albums, he’s shown a knack for creative sampling, using less familiar parts of staple pop and r&b songs — even a bit of Afrobeat, courtesy of Fela — in unfamiliar ways. The end result is exemplary instrumental hip-hop: listenable to on its own merits, no matter the absence of a rapper. The Temple University-educated musician took time out recently to talk about his self-education on the tools of the hip-hop production trade, his personal philosophy of sampling, and the producers who’ve inspired him. Below is a lightly edited transcript of the conversation. Marc Weidenbaum: First off, thanks a lot for making time for this interview. I really dug Un-Herd Vol 1 when it was released on the Ropeadope label, and your The Appreciation SP in particular got my head going — I wrote about it [at disquiet.com] when you posted it for free at your myspace.com/youngarchitect page. Y?Arcka: I had that The Appreciation project [cover pictured at left], actually done before I did Un-Herd, but at the time, I was like, I don’t think I’m gonna have enough time to promote it and do stuff with it. Un-Herd kind of came up out of nowhere, where I was like, I could put something together a little different from Appreciation — because Appreciation was something you couldn’t really have rappers over, because it’s unusual, the unusual loops I did were not your ordinary stuff. I liked it more, because it’s different, but maybe it’s too different for people to start off with, as my first project. Weidenbaum: Let’s get started with some biographical information. What’s your given name? Y?Arcka: My government name? My name is Shawn Kelly. Weidenbaum: Born and raised in Philadelphia? Y?Arcka: No, born in New Jersey. I came to Philadelphia for school. I went to Temple. Weidenbaum: What’d you study there? Y?Arcka: Communications. First architecture, and then communications. That’s where the name Y?Arcka comes from, short for Young Architect. I was doing architecture, and then I switched my major. Weidenbaum: So, Young Communicator could be next. About The Appreciation, tell me about the title — you’re showing your appreciation for the material you’ve sampled? Y?Arcka: Yes, ’cause a lot of times, people sample things and try to hide their samples, and I listen to these artists — a lot of time I love the records, and I don’t know if anyone has heard these certain songs, or even if they’ve heard them, maybe they didn’t realize that this part is unique in itself. I have these records, and I love to listen to them. I have other songs that I sampled off these records, but those really fit The Appreciation. It was less work, but just the idea behind it, to showcase artists who don’t really get the respect respect they deserve. Weidenbaum: What do you mean “less work”? Y?Arcka: It was less work — well, I don’t want to say less work. It sounds like it’s less work, than Un-Herd — Un-Herd, I put a lot of time into it. 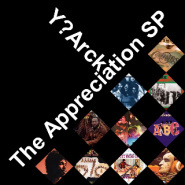 Appreciation came out of five years worth of work, and I said, Oh, this all fits a certain style of my production, and I categorized it as “Appreciation.”I could have put more tracks on Appreciation, but some didn’t fit the exact thing I was looking for. Weidenbaum: In many of the cuts, not only are you not quoting the best-known part of the originals, but you’re also quoting singers who aren’t the main singers. Y?Arcka: Ah, that too, yes. [Laughs] I like the background singers. I love background singers, and people who really don’t get to shine either. They’re the underdogs, the real talented ones, probably more than the lead singer, but they always get outshined because everyone wants to see the lead singer. A lot of groups break up because of that: David Ruffin, Eddie Kendricks [from the Temptations]. But some people in the group were good, too. They get overshadowed. I did that on purpose, definitely. Weidenbaum: It’s exciting, like the Sly and the Family Stone track you did, and the Jackson 5 one, on The Appreciation SP. In each, you take these little unfamiliar snippets, and make whole new listening experiences out of them. In each case, I knew what it was when I first heard it, but it wasn’t like you quoted the chorus over and over. Weidenbaum: It was a little more thought-provoking. The one where you take the Gil Scott-Heron quote, “G S-H J Dilla,”where is that from? Y?Arcka: The Gil Scott-Heron quote? I think that’s from this one album — that’s from an MP3, and an MP3 is hard for me to go back and trace, ’cause I have so much music. Weidenbaum: I was intrigued you chose that particular piece. and the flute that you tie it to, that was a Dilla track originally? As producers go, Dilla seems especially central to you. Y?Arcka: Where I tie in the Dilla was the drums, the drum pattern he used on a “Time Travelin’ (A Tribute To Fela)” on Common’s Like Water for Chocolate album, the intro. [He sings a bit.] And Dilla liked flutes, and I like flutes, so I put that in there. It’s kind of a little Dilla tribute, if you follow him follow him. I follow him everywhere he does. Weidenbaum: You were involved in a remix project on 33 Jones, Bring Me the Remix of Zilla Rocca? Weidenbaum: What is that project. Y?Arcka: Someone I know, Zilla Rocca, he has some of my songs, some of my music, and he wanted to do something over it, but he was changing over labels and doings things, and so it got shelved. He always kept me in mind for any kinds of production, so he’s been doing this remix with a lot of producers from Philadelphia. And I just happen to be one of them. I said I’m down, just send me the a cappellas, and I was listening to all my beats, to see what fit the a cappella, before I do something new. But I found one, which is my uncle, who did reggae music, and I thought, This one might fit. He was talking about girls on the beach, and it reminded me of Jamaica. I thought, This would fit, so I synced everything up and remixed it. Remixing is hard for me, because I want it to be perfect, like the person was actually in the studio with me, you know? So, I change it up a little bit, not just a straight instrumental. Y?Arcka: He’s puttng everything together. He’ll at the end compile, so everyone can get all of them at once. He had a mixtape album, and he did most of the music on it, and he wanted to do something that included more producers who he liked and looked up to, so he chose different producers. He wanted to remix the mixtape, so it’s a remixed mixtape. Weidenbaum: When I wrote about The Appreciation SP, I didn’t want to use the word “remix,”because it sounded limiting. So, I joked and called the tracks “one-song mashups.”What do you think The Appreciation‘s about? Y?Arcka: The Appreciation — I did some time-signature stuff on some of them, ’cause there’s a lot of 3/4 and 6/8 rhythms, and I like to change things up, from the norm of the song. They’re songs — they’re not remixes, definitely not remixes. “Remixes”has a negative connotation sometimes. I’d say they’re — that’s a hard one, to say what they are. It’s … I would categorize it: a song without lyrics? Something that rappers can’t rap over? It’s not the normal hip-hop, but I had a hip-hop element, because hip-hop is always the root of my style. So, I would say I took a hip-hop spin on an old recording, not just the traditional hip-hop spin of laying drums and putting a sample in and adding bass or something else. It was more me taking a sample and flipping the sample different ways, in a creative way. Weidenbaum: One of the things I really dig about it — and you were saying how you can’t really rap over it — is I spend a lot of my time listening to instrumental versions of hip-hop tracks, and it was great to hear instrumental hip-hop that’s intended to be listened to as an instrumental. For me, I think it goes back to Destiny’s Child. When I first got hold of a 12″ of Destiny’s Child, when I was living in New Orleans, between 1999 and 2003, and it had the instrumental versions on it, and I couldn’t believe how listenable they were on their own. Y?Arcka: Ahhh. That’s what I’m looking for. My friend calls it “listenability”– you can listen to it, and you don’t have to worry that something’s missing; it’s all there. I like that word. Weidenbaum: For me, it’s interesting because I listen to a lot of instrumental tracks to hip-hop and r&b songs, and some stuff that sounds great with vocals doesn’t sound like much without them. I was listening to Labcabincalifornia by Pharcyde again recently, speaking of Dilla — with the vocals, it’s a great album. They’re talented, and funny, and warm. But without the vocals, it’s like this abstract beautiful soundscape. Y?Arcka: Definitely, definitely, yeah. That stems from my experience with rappers in the past. Subconsciously, of course. I used, myself, to be a rapper. I’ve been doing music for about 11 years, and I started making beats a little bit here and there. I was in a lot of groups. I’m an engineer, too, so I’d produce and engineer it, and mix it all down. And we’d get to the “What now?” period, what are we going to do next? And no one ever wanted to do anything with it. I thought this is a waste of my time. So after that, I just started making more beats and stopped rapping, and stopped writing, and things like that, and just focused on making music, instead of just making beats for rappers. Weidenbaum: Do you have two different modes, a mode with “listenability” and a mode to be sent to rappers for potential licensing? Weidenbaum: One thing that’s interesting about rap is you can hear a song that sounds like such a personal expression for the rapper, and then you find out that the beat existed long before the rapper ever heard it. The rapper liked it, and paid the producer, and it’s part of the rapper’s art to make it his or her own. When it’s right, it feels like the rap and the beat were created simultaneously, even if that’s not the case. Y?Arcka: Yeah, yeah. I hear about that a lot. That beat I had for five years, and someone stumbled on it. And sometimes the rapper doesn’t bring it out, and I’d rather hear the instrumental than the rapper. And sometimes the rapper can capture the same feel of the music, even five years removed. Weidenbaum: You mention Dilla a lot. It’s fascinating how well known Dilla is after his death. Y?Arcka: That’s the sad part, actually. It’s good people know him now, but at the time, I was hearing about him from, let’s say, 2000. Before that I knew his music, of course, but I didn’t know who did it, like Pharcyde “Runnin'” [off Labcabincalifornia], and the De La [Soul] “Stakes Is High” [off Stakes Is High], the Tribe stuff he did for Beat, Rhymes, & Life and The Love Movement. I was like, Oh, I heard his music before. I didn’t even know it was him. But I just got a dose of him. I first found his name on the Tribe Called Quest Love Movement album, ’cause my brother had it — he’s five years older than me. And I’m a liner-notes person. I love liner notes. I like reading who did what, engineers, publisher names, everything. So I found “J. Yancey.” I was like, Who is J. Yancey [Dilla’s given name]? And Q-Tip always says “JD, JD,” and Q-Tip’s name is Jonathan Davis — that’s his real name, and short for that is J.D., so I though he was talking about himself. So, I do a little more research and find out there’s actually a person named Jay Dee, he makes beats. So I start doing more research, and found out things he did, and this is maybe two years later — 2001, 2000 — he came out with Welcome 2 Detroit, and I was like, I gotta get this. Heard that. Lost my mind. Got Like Water for Chocolate. Lost my mind again. Got Slum Village, and totally lost it. Weidenbaum: I mean, Just Blaze blows my mind, Dallas Austin. A lot of those guys are doing really good work, not just “pop music,” but it’s great to watch Alchemist, and others, lesser-known producers, get recognition. That’s the one good thing that’s come of it. You mentioned being a “liner-notes person,”and that’s something I can relate to, it’s how I learned about music. Y?Arcka: When I bought my first record or CD, or tape, actually, it was Liquid Swords, to be exact, Genius’s first album — I had the tape, and I was looking inside it, and it said “S. Wonder,”and I thought, That’s Stevie Wonder, but he’s not on the song — and that’s when I realized that’s the sample. So I started to run things back, like G. Grice, who’s that? It’s Gary Grice, for GZA. Started to realize who does production. That’s just the way I am. I like more than just to hear the music; I want the overall experience of buying the album. There’s more than just hearing the music. Weidenbaum: How old were you? Y?Arcka: It was, say, 1995 — I think my brother got it for me, so I was 10 years old. Weidenbaum: You were born in 1985. Y?Arcka: ’85, yes. My brother had other records and such, like Wu Tang, and Snoop Dogg, so anything he listened to, I was listening to. Weidenbaum: I was the older kid in my family. I had to figure it out for myself. My dad had a bunch of jazz records, but that was about it. A question about sampling, on both Un-Herd and Appreciation — when you take a sample and stutter or repeat it, are you reproducing something you already hear in your head, or are you creating something new from scratch in the studio? Y?Arcka: Pretty much, a lot of times, I always call my work an accident. I’ll hear the sample, I’ll like it, and I hear a certain part, I sample that part, and I hear what I’m going to do with the part, but usually what happens is the part that I like is something wasn’t even thought up, kind of like as I go along, Oh that sounds better. I stumble upon a lot of things. That’s usually how it works. ‘Cause if I plan things, it never works out the way I want it to go. Now, I don’t even plan anything. I just go with the flow, don’t try to force anything. Weidenbaum: You’ve talked about how you learned to listen to music, and to know about it more, but how did you learn to make music. Y?Arcka: Ahh. OK. Well, through my brother, when I was, about that same age, 11, 12, he brought over a beat machine. A Boss Dr. Groove 202, I think, maybe a 220. Black and orange. He brought it over, ’cause he borrowed it from his friend, and I got on it, and started to make some music. At the time, I was recording everything on tape — I had to record myself on tape. My brother would bring the beat machine back to his friend, and I would get it a week later, and all my songs would be gone, so I had to remember to record my beats in the beginning. But, I had it on tape, and started to learn timing, what goes where. I started, like, doing diagrams of drum patterns, a certain way to write them so I could remember, like, oh, this is the sort of drum pattern I want to play. Like, I’d be walking around, and I thought, that would sound nice if it was like this [sings a bit] and I would diagram, like, drum patterns. That’s how I got my drums and everything the way I wanted them. I started to learn about layering through this Alesis SR-16, which is just drums, so I learned how to layer things, filter, change things. That drum machine had only straight sounds. You could only use those sounds. I get tired of the same sound — I need variations and different things going on. Weidenbaum: Just to confirm, so your earlier beat-making, you weren’t able to use samples. You could only use preset sounds. Y?Arcka: Yeah. I bought the MPC-2000 in 2002, ’cause I saw again — my brother’s same friend — he had an MPC-2000XL, and he was sampling himself, like dropping coins on the table. That was crazy — you could sample anything into it, any kind of sound, anything. I was like, I want that machine. I was working at Shoprite, saved up my money, and bought it straight, new, cash. And it was my machine, and I just started to work with it. I was still in high school. I was a junior in high school. I started to get really heavy into it, ’cause I was spending a lot of time in my room just learning how to make music, again, with this new machine. The MPC-2000 was the next step, ’cause before the beat machines and everything, I was making beats on the computer, this program in which I was placing snares and kicks and hi-hats in certain places, to know timing. Like I’d have a snare here, and put a snare next to it, to see the timing. From there, I was already chopping things up. On the MPC, you can do it all there on one machine, and I just started to chop things up, and just run with it, ’cause it came with some sounds, and I made a beat the first day I got it, it was just so easy. Weidenbaum: And that’s your tool today? That’s the main thing I use. I use computer programs; I use anything I can get my hands on. I use Reason, Fruity Loops, but I’m not letting any of those beats out. No one’s heard much stuff from there. Soon, the time will come, ’cause I have some original music. I do a lot of different things. Weidenbaum: I want to make sure I know exactly what you’ve recorded. I’ve heard The Un-Herd, and I’ve heard The Appreciation SP. Is there anything else out there that I’m missing? Y?Arcka: Other than the Zilla remix, those two, Un-Herd and The Appreciation are my first two projects that actually are out there. Un-Herd was the first, May 2008, when Ropeadope released it. And I worked on that from early November  to mid-December. It took me a month and a half to do Un-Herd, and it was released six months later, in May. Y?Arcka: I have some local people I’m doing tracks for. I’m on this album with this group ((Stereo))type. I have three on there. 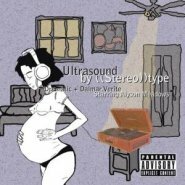 The name of the album is Ultrasound [cover pictured at left]. I’m really focusing on shows. I just did a Dilla [tribute] show Friday, me and two other producers. We did an hour-set, hour and some change. Weidenbaum: What do you perform on? Y?Arcka: On the MPC, we all performed on the MPC. One guy had the MPC-2000, the older one, and the other guy had the 2500, the newer one, so we all just went back and forth. We’ve got it on video, too. It was a pretty good show. Right now I’m just getting more exposed, through interviews, playing live. Weidenbaum: Is there a regional flavor to what you do? Being in Philadelphia, is that meaningful to your music? Y?Arcka: Um, yes, yes and no. Yes, because Philadelphia has a soul to it, more of a soul than where I was originally. Where I was in New Jersey, Toms River, was not conducive to making music. [Laughs] So when I came to school, I started really doing music more, because there was a certain vibe I was getting from Philadelphia. I was making good music in Toms River. The vibe was just different. I needed to have people around me who knew what I was doing — I can talk to them about music, about Dilla, about making music, and the process of that. In Toms River, I couldn’t do that. They were like, I don’t even know who you’re talking about. I couldn’t relate to anyone who knew what I was talking about, other than my brothers. Weidenbaum: You use the word “hip-hop”a lot, but of course a lot of your samples pre-date hip-hop. Do you think of hip-hop and r&b as being different from each other, or do you think of it all as “soul music,”or do you not even think about it? Y?Arcka: You mean the stuff I sample? Weidenbaum: The music you’re making. Y?Arcka: Hip-hop and r&b, right now, that’s almost in the same category of pop, ’cause hip-hop is getting pop now, and they’re kind of mixing the two, like hip-hop and r&b are almost one. aA lot of the hip-hop has people singing over it, and a lot of the r&b has people rapping over it. So, they’re in the same category now. The stuff I’m doing, I feel is more of a traditional, underground — more of a thinking music. More than just a simple beat, a simple drum pattern. More of something that’s thought-provoking, with music. Something that has a lot of detail to it. It’s a detail-oriented music. And you could say it’s soul, but I don’t sample a lot of soul. I sample, more, even on the Un-Herd album [cover pictured at left], I sample — I don’t know if you know Jefferson Starship, kind of like a rock band … a weird kind of band. Just different kind of artists, and a lot of the artists to me were unheard, because I was like, Who are these people? There’s some Billy Paul on there, some Sade. That’s the most obvious, and obvious for a reason. Weidenbaum: That’s the track “It Is A”¦”on Un-Herd? Weidenbaum: ‘Cause you cut up the words. Y?Arcka: Yeah, I cut them up and put them the other way. Weidenbaum: When I heard you do that, I wondered if the “crime”you were referring to was the act of using other people’s music. Was that on your mind? Y?Arcka: [Laughs] Um, let’s see, what was on my mind when I made that one? That sample, the sample stuff, is very — it’s a big topic right now, and I feel, what did I feel about the sample, when I made it, at the time? I was thinking more about crime in Philadelphia. There’s a lot of crime, people getting shot, and at the time that was probably what I was leaning toward more, actual crime itself — even with the big companies. I like Method Man when he said, “Behind every fortune is a crime.” There’s some sort of crime, business-crime mostly. Who’s getting the short end of the stick? That’s what I was going for at the time. What I feel about sampling, sampling can be a crime, if you just re-arrange something, just take the hook — like Puff Daddy’s No Way Out, that to me, it’s coo, to listen to, but he basically just ripped off those songs. The way he did it, at the time, it was what was going on, but I look back, and it’s like, he just took all those songs. Sometimes I’m at a club, and I’ll hear a song, and I’ll think, “Aww, man — he took that, too?” He made sampling look really obvious — like, “I am sampling.” Where it’s not even an art form. That’s not art to me, the way he sampled them. It’s more of an art where you can rearrange it to the point where you know it’s a sample, but you don’t know what the sample is, or the rearrangement is so intricate and creative, that it really makes you think about it being more than an instrumental with a rapper over it, more than just hip-hop. Weidenbaum: I think your music totally nails that. It’s not that you’re just taking obscure samples and hiding your sources, like a white-label DJ, and you’re not doing a Puff Daddy thing, where you’re paying to license an already popular hook. You’re taking music that is somewhat familiar, whether it’s pop or it’s Fela, there’s a range in there, and you refresh it, you wake it up. I find that exciting. Y?Arcka: That’s what I’m aiming for. Weidenbaum: Can you actually just enjoy music, or do you always listen like a DJ, always listen for cues? Can you kick back and enjoy it as music? Y?Arcka: Ah, that’s what I’m getting — sometimes, I can’t even play music, because I just automatically hear a part that’s open, and I think, That part right there would be nice to do something with. I still enjoy it. It’s just my brain is always working like that, always functioning in terms of samples, like I’ve got a sampler in my head. Always lookin’ for new drums, for things you can use, and put a lot of stuff together. I do enjoy that, too. I enjoy sampling, and the amount of time it takes to do all that stuff, and enjoy listening to music. But most times I’m listening, my ears are more than just listening just to listen; I listen with a purpose most times. Weidenbaum: Is that a tragic thing for you, that you can’t separate yourself from that mental activity? Y?Arcka: Nah, I figure, this is me. I just love it. That’s just me. Weidenbaum: Could you take one track off The Appreciation and explain how you accomplished what you did? 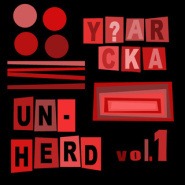 Y?Arcka: Yeah, Un-Herd has a lot of secrets to it, some I don’t even remember. My style always changes. I don’t have a set way of making music. I could talk about The Appreciation. It’s easier. We could talk about the title track, which was the first track I made, around 2005, that had that Appreciation feel. I got this Commodores album, Natural High. I sampled this one song, all these cuts from the song, and then I thought, I don’t think I can do anything with this, but what I did was take a lot of the chops I had, and play ’em in a certain order, and it just became, like, something different, something I’d never done before. 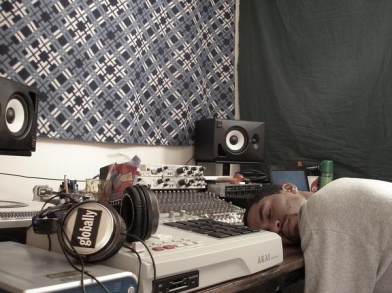 This is before I heard [the Dilla album] Donuts, flipping things, flipping a song. “Such a Woman…” [he sings], and the subject of appreciation is women. I’m appreciating the artist, and women, in the world. That’s a sidebar, the woman part. There’s a lot of things that tie into each other. I went to another song on the album, “Say Yeah,” and I just started to mess with that, so I put it all together, and that was the intro to my beat tapes, or beat CDs, at the time, “Home Alone in My Zone” is what I called them. I’d give ’em to my brothers, whatever, and my sister, let them here it. So I made it the intro track for this, ’cause it sets the mood for what this is going to be about. Weidenbaum: Tell me about the last track on The Appreciation SP. It’s the longest. Y?Arcka: The “Listen Carefully” track. [Laughs] That one, I just like when you get an album and there’s more to it than you thought was gonna be on it, like the Roots album where you have a bonus track. I’m a fan of bonus tracks, that you don’t even know about it. You’ll stumble upon it. The first part, with the bass line, that’s me trying to play “Who Is He and What Is He to You,” Bill Withers, but I couldn’t get the rest of it, so I played the parts I knew. And it was something I had laying around, an appreciation for Bill Withers, ’cause I love Bill Withers. And the second one is “This can’t be real” — Gil Scott-Heron song, “Did You Hear What They Said” is the name of the song — that one, a lot of people have used, so I put that on the track, “Did you hear what they say,” and I just like cut the part up, the part that everyone uses — “Come on, come on, this can’t be real”– the reason I cut up that part is that when I heard different versions by it in the last couple years, I just been upset, I used this before all them, I used this in 2004, so I kinda just said, “This can’t be real”; I made the track say, him say, what I was feeling at the time. The last part is a reprise of “Mental Cruise” by Donald Byrd, which is track number three on the album — I put the original song at the end. Weidenbaum: What do you by day? Y?Arcka: I am out of school. I’m a live sound engineer, at a local club. They have a lot of national acts. And I work with a wedding band. I do a lot of live sound. And that’s what I do primarily. My side stuff is just me recording people at my place, ’cause I’m trying to get into studio engineering, too. I have my mixer and mic and stuff like that. So, I record people’s albums at my place. Weidenbaum: Name the producers whose work you’ll pick up no matter what they put out. Y?Arcka: Premiere, Pete Rock, Madlib — see a lot of times, I’ll say, like, RZA from 1993 to 1998, love the RZA from that era. Hi-Tek from Black Star and Reflection Eternal, and that era. Right now their sound is more pop-ish, but I know they still have the skills. I’ll still listen to what they have, but I like the old stuff better. Those are the top of my radar. I like Timbaland. I like Just Blaze. I like Kanye. But the ones I really stick to — Pete Rock has reinvented his sound, which is crazy. I don’t know which Pete Rock I like — I like the old Pete Rock, and I like the new Pete Rock. Premiere is one that stays on the same course, but there’s something about his sound that is hip-hop, and speaks to the hip-hop soul in people. Madlib is just crazy, kinda crazy, the way he puts things together. There are so many one-and-done producers out there, but those five are always constantly doing things. Oh, I am forgetting someone very very important to production and hip-hop, it’s Questlove, anything he does. Y?Arcka: Yeah, actually, that’s funny, I use that when — I have this r&b artist I work with, and he likes that song, so I cut the beginning part of that, the drum part, and put it in a different order. Yeah, Questlove. I’m always looking out for him, anything he does.